Thought this was the correct thing to do for you, sorry that your post went of topic bud. still dont understand why the rank went from 300 ish to 1100 in a month very odd. what rank? what are you talking about? Oh sorry Julian the server rank dropped from position 300 ish down to over 1000 in a month. what was changed a month ago on the server that might have caused this? and maybe we can revert it and get the rank back up and the players back in. TG_jneagu wrote: what rank? what are you talking about? billythekid1 wrote: Oh sorry Julian the server rank dropped from position 300 ish down to over 1000 in a month. what was changed a month ago on the server that might have caused this? and maybe we can revert it and get the rank back up and the players back in. It's a number of things whirly. It can't be narrowed down so easily. If it could, don't you think we would fix that problem? We're not idiots here. The first hit we took was the server favorites wipe. That alone made us lose the majority of our regulars. 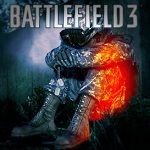 It was a battlelog problem which they fixed but made everyone re-favorite servers... I don't need to explain to you the issue there. The second hit we took was the change to the quick-match system, our pride and joy. Quick-matchers usually sum up to 40-60% of the server once it gets legs, it is so substantial that without it the server would rarely if EVER start. So because of this we need to modify our server settings to allow it to even accept quick-match joiners. These settings include the amount of players allowed, which means we lose our adaptive server plugin, something not only quick-match, but normal server-browsers look for, a close to cap player count. This is just the beginning whirly, there's more to why we have lost our following including problems within our community... not only drama but plain ol' lack of activity. Honestly, it's really simple. The server, in order to start, needs at least 4 people in TS willing to kick it off. Today that is pretty rare. See the difference between today and then? Its a big combination of stuff ups in battlelog really which is out of our control.. Im sure in time people will come back.